Have you seen the new Google street view option? It let's you see the inside of museums all around the world! You can "wander" through the halls without ever leaving home. It's not quite the same as actually being there but it's still a lot of fun (and free!). You can see all of the options here. I've especially enjoyed exploring the Acropolis and the Van Gogh Museum. Hopefully I'll get to visit both in real life someday! What museums are you longing to visit? 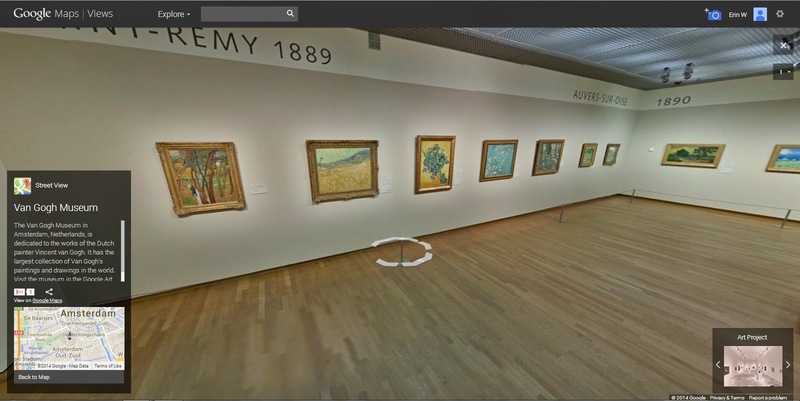 Images are screenshots from Google Maps: The Palace of Versailles, The Street View Art Projects page, and the Van Gogh Museum.